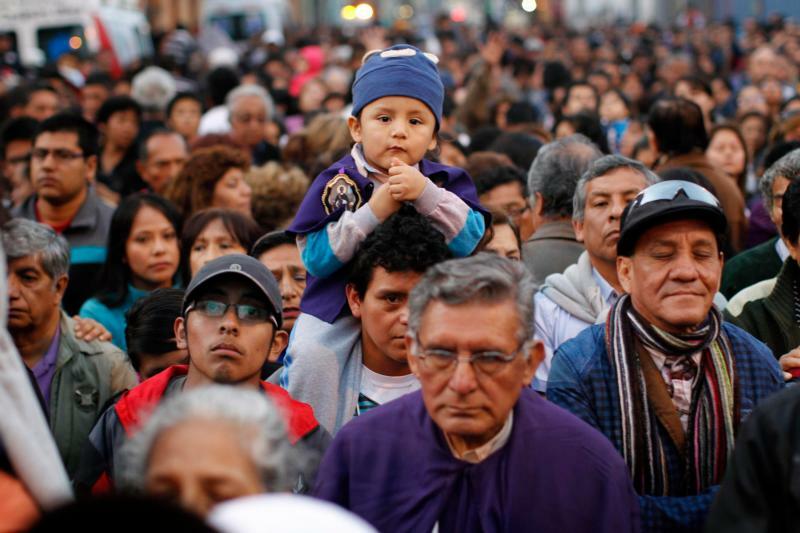 Three times during October, tens of thousands of people pour into the narrow downtown streets of Lima, Peru, accompanying the figure of the Lord of the Miracles in a procession around the city. The devotion, one of the largest in Latin America, is also celebrated in cities such as Los Angeles and Rome. Although the relationship is personal, it is celebrated in community. Other countries have their own devotions — Our Lady of Guadalupe in Mexico is one of the best known — and local devotions may draw even more faithful than the more famous celebrations. In Africa, religious celebrations often are accompanied by music and dancing, says Liz Mach, who has worked in Tanzania for most of her 41 years as a Maryknoll lay missioner. In Manila, in the Philippines, hundreds of thousands of Catholics throng the streets in January, trying to get close enough to touch the Black Nazarene, a wooden statue of Christ carrying the cross, which dates to the early 1600s. Kissing, holding or touching the statue is “connecting to the divine, to touch and be touched by heaven itself,” Msgr. Jose Clemente Ignacio of the Minor Basilica of the Black Nazarene in Quiapo, Manila, told the Philippine Daily Inquirer in 2013. Fraser is a freelance journalist based in Lima, Peru.